Udaipur: CIMS Hospital Ahmedabad recently achieved yet another milestone in surgery by successfully performing the 8th heart transplant. The donated heart of 25 yr old declared brain dead after a road accident was transported from Shelby Hospital, Ahmedabad to help beneficiary of 43 yrs age at CIMSHospital Ahmedabad. The two hospitals are setting an example of working together towards a common goal of providing the best in healthcare, putting corporate rivalry aside. The 43-year-old recipient from Rajkot was suffering from an acute condition of Dilated Cardiomyopathy for the last 7 years. This is a condition where the heart becomes enlarged and falters on pumping blood normally and in turn adversely affecting the functioning of lungs, liver, and other crucial body organs. The deceased family has donated his heart and liver; while the heart was transported to CIMS Hospital, the liver was used for a patient at Shelby Hospital. Dr. DhavalNaik, Cardiac Surgeon, and Heart Transplant Surgeon, who was a part of the team that conducted the surgery stated, “With every successful heart transplant, Gujarat is gearing up to perform more transplants in the times to come. 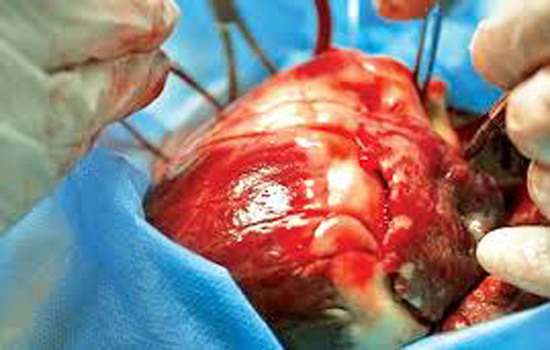 Patients and their families too are now willing to go for heart transplants, considering the excellent success rate. CIMS Hospital, Ahmedabad is accredited by JCI, NABH, and NABL and has the credit of having performed the first heart transplant hospital in Gujarat.